A sea of leafy green lollipops. A Dr. Seuss landscape of green swirls and bubbles surrounding a castle. 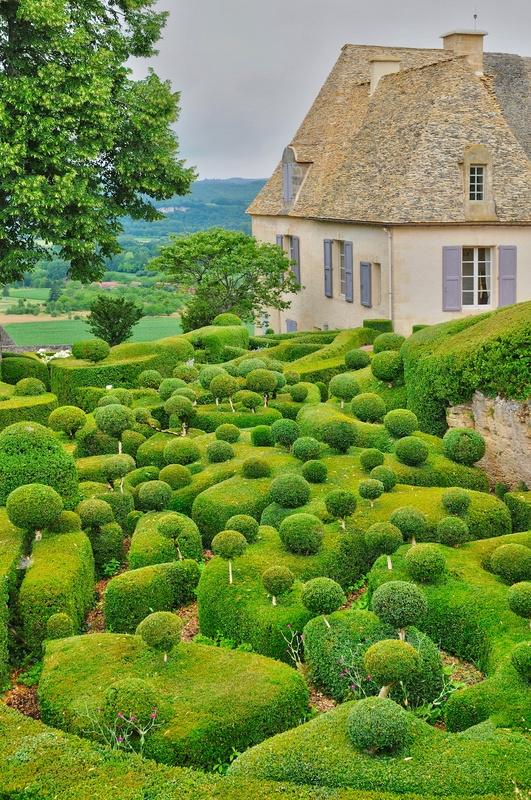 We’re talking about the Villa Marqueyssac in the Dordogne region of France. Built in the 17th Century, the chateau’s exceptional gardens include more than 150,000 hand-pruned, hundred-year-old boxwoods –– along with a clever team of dedicated gardeners to clip them. And like the genius of Dr. Seuss, this magnificently manicured garden charms both the young and young at heart. Nature, creatively and beautifully reimagined.